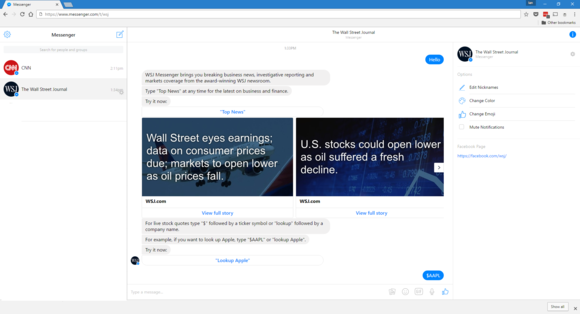 Facebook Messenger bots from CNN, the Wall Street Journal, Miss Piggy, and others are ready to chat you up—whether your phone supports them or not. Everybody knows that 2016 is the year of virtual reality, but what no one realized until a few weeks ago is it’s also turning into the year of the bots. Microsoft is adding bots to its platform, and Facebook recently unveiled bots for Messenger. For Facebook users there are already a variety of chat bots you can try including ones from CNN, The Wall Street Journal, and the Poncho weather service. 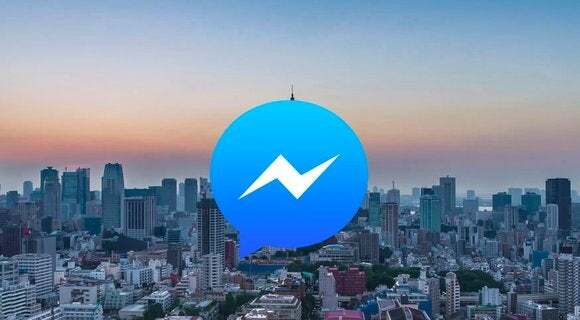 The easiest way to access the new Messenger bots is to use the latest version of Facebook’s messaging app on Android or iOS. If you don’t have one of these devices, you can still check out the bots thanks to the power of the PC. Getting access to Messenger bots without the right mobile app starts with Messenger for the web. Go to Messenger.com and sign in with your Facebook credentials. Messenger bots on Facebook’s web app. Next, you’ll need to visit either the Messenger bots listings on Botlist.co or this public Google Drive spreadsheet. Both have lists of known bots, but for our example we’ll use the spreadsheet since it’s the easiest to understand. Select the bot you’d like to check out and click on the appropriate link in the URL column. 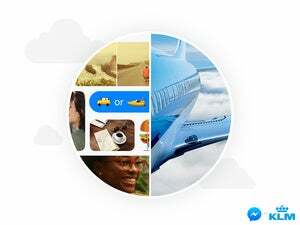 Messenger will then open with a new chat ready to go for your chosen bot. All you have to do now is interact with the bot by saying “Hello” and you’re all set. Once you’ve started a conversation on Messenger for the web, the bot conversation will also show up on your mobile devices. However, if the version of Messenger on your phone is not updated for bot integration some of the features may not work. For example, bots often give you several options you can click or tap such as Try it, View full story, and so on. These options may not appear or render properly on your device. Some links may also fail to work. Everything will work just fine on the web, however, and inside of Facebook too.